A lavish holiday and relaxation was awaiting us on our last day in Indonesia. Coming from Bandung, we went to Jakarta to spend the final leg of our 10-day trip. We initially planned sightseeing the city but upon learning how extravagant our hotel was, our plan had suddenly changed. We dropped the city tour and thought of just spending our entire time in the hotel. Well, after visiting several tourist attractions in the places that we’d visited in the country, I supposed we deserved this kind of reward at the end of our trip. It was already late evening when we were able to arrive at Hotel Indonesia Kempinski Jakarta; our lovely abode while in the city. The hotel is a 5-star luxury accommodation. It was elegant, charming and classy. I knew from then when we entered the hotel, we were in for a treat. The hotel is located at the city center. 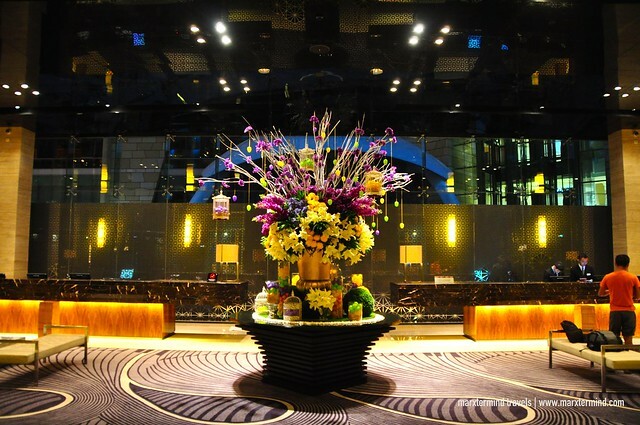 City landmarks, tourist attractions and shopping malls are easily accessible from the hotel but we didn’t bother to go to these places anymore as we had already wallowed in the luxury of the hotel. 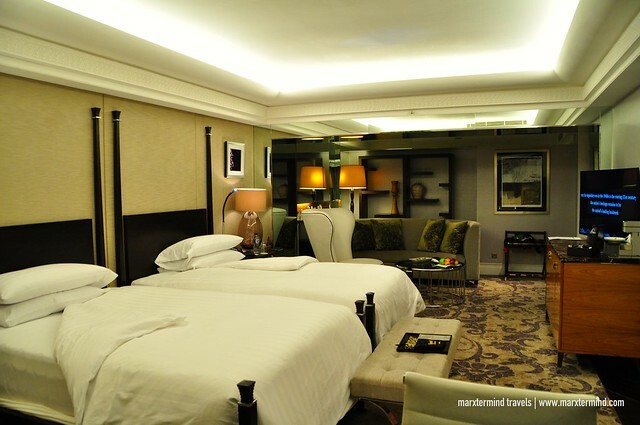 We gave ourselves up to the coziness of our room and the excellent amenities of the hotel. Our room was a Grand Deluxe Room. Check room rate and availability here. It was the best room that we ever had. I was astounded with its elegance, space and comfort. Who wouldn’t be amazed with that? But seeing how luxurious our room made me regret why we had only allotted one night for this place. Our room was gracefully decorated with stylish ambiance. I like the décor showing the modishness of the hotel. The room was air-conditioned. It has twin beds. It is well appointed with modern amenities and stylish furniture. It has a seating area and a working desk. The room is equipped with facilities such as flat screen TV, in-room coffee and tea facilities, laptop size safe and mini bar. In addition to these excellent features, our room has a lovely view of the city. 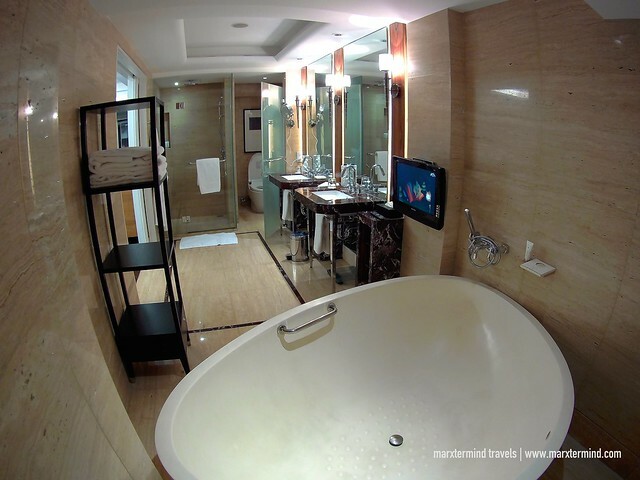 The room also has a state-of-the-art bathroom. I was impressed. It was clean and roomy. The best bathroom that I’ve had in a hotel, I must say. It has an over-sized bathtub. There were two sinks and mirrors. There were also separate areas for toilet and shower. I was also greatly surprised that the toilet was automated. I really liked the bathroom. I can do a cartwheel with its big space. Our deluxe room was the best. It was cozy. The bed was comfortable. 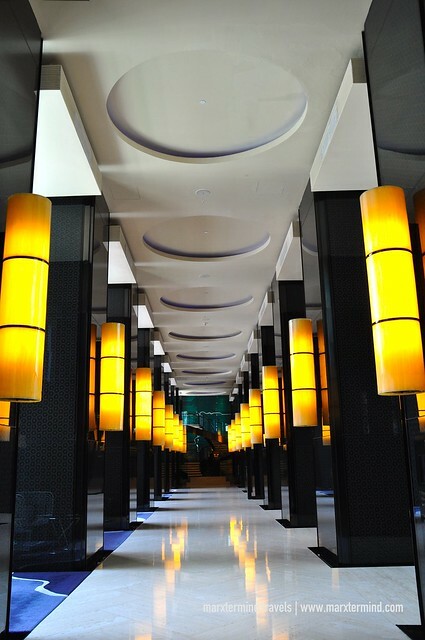 It has all admirable features to have an enjoyable stay experience. 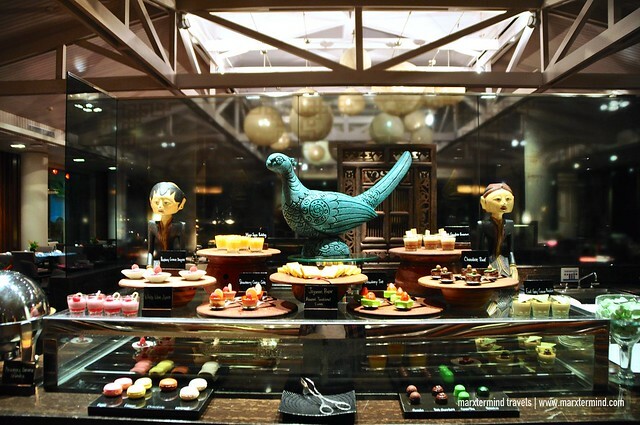 A grand holiday on this hotel wouldn’t be complete without trying their food offerings. And we were happy that we were able to experience dining at one of its restaurants. The hotel currently has several dining options. 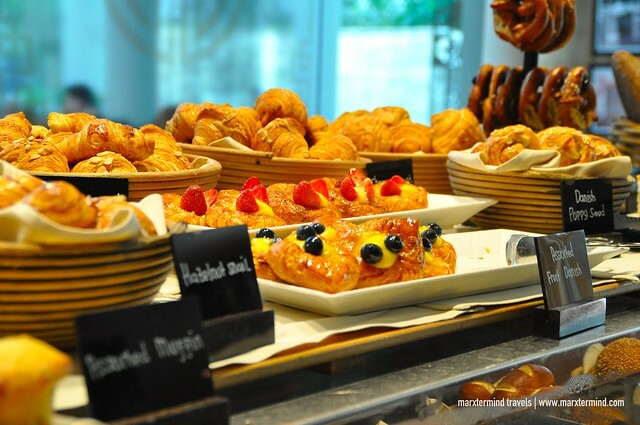 Each has distinct food offerings, from international cuisine, to Asian, to Japanese, to modern flavors and to sweet treats. 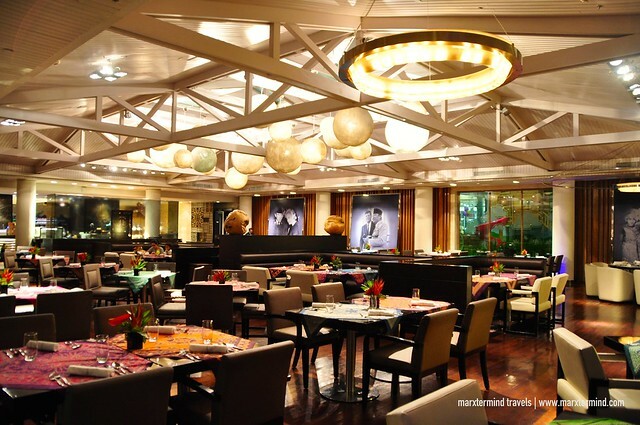 Signatures Restaurant is the one that we’d tried. 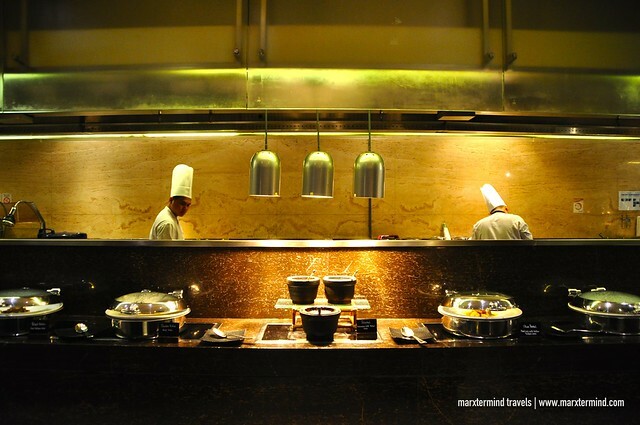 The restaurant is open from breakfast to dinner offering international and Asian dishes. They serve food in buffet style. 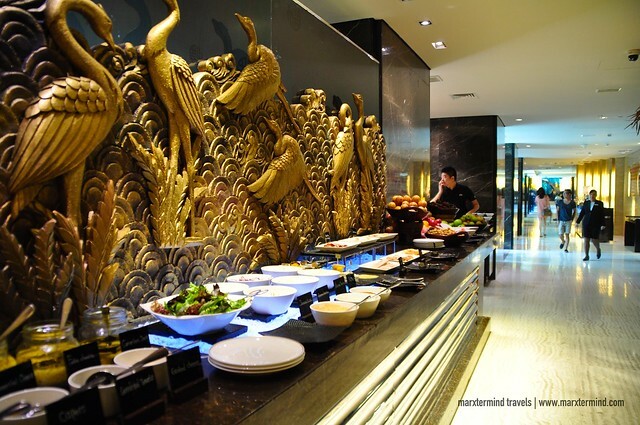 It was during breakfast and dinner that we were able to sample the buffet. 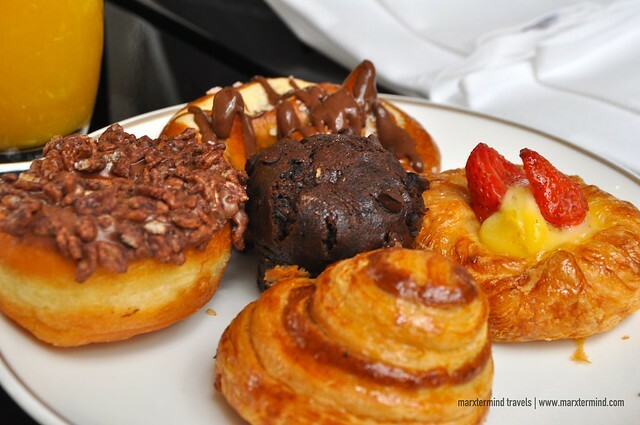 Guests checked in are provided with complimentary buffet breakfast at the said restaurant. 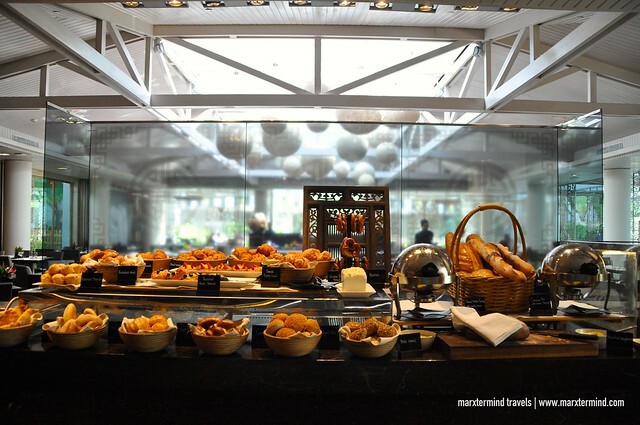 The selection for breakfast was huge consisting of local dishes and usual breakfast favorites. 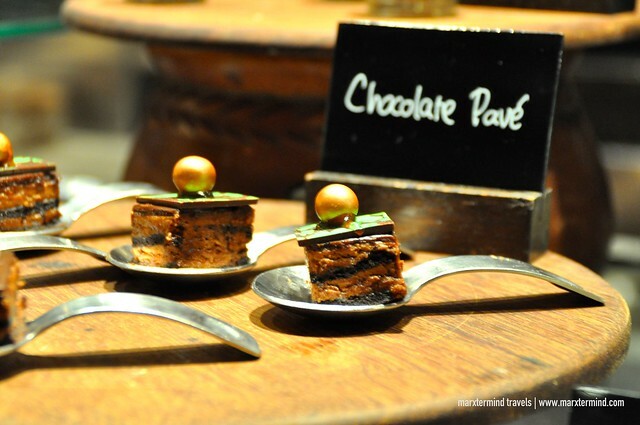 Stations for desserts, pastries, bread and beverages were also available. I actually liked the buffet. I enjoyed the sweets, of course. 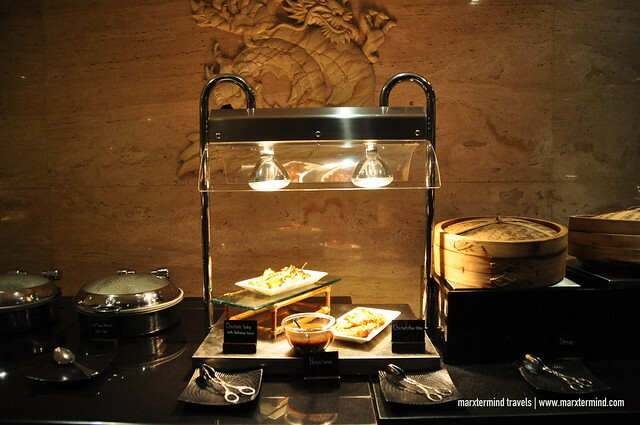 Since our flight was still at midnight, we were glad that we were able to try the buffet offering of Signatures Restaurant during dinner as well. Local dishes were still present. I had a serving of Nasi Goreng to taste it for the last time before we headed out of Indonesia. 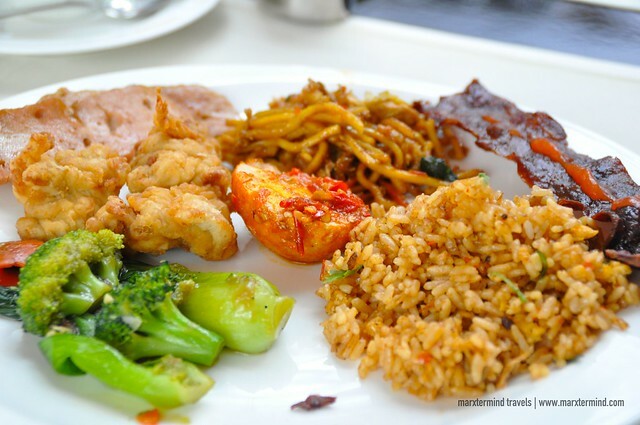 Aside from the Indonesian cuisine, there were also other international dishes present at the buffet. Stations for desserts and pastries were also there. 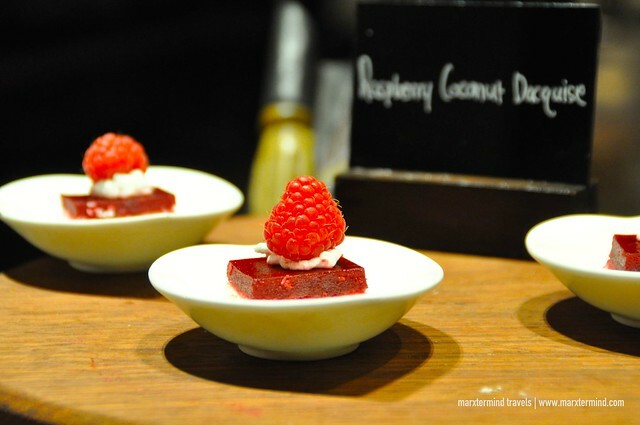 Since I love the desserts, I indulged myself more of the sweet offerings. 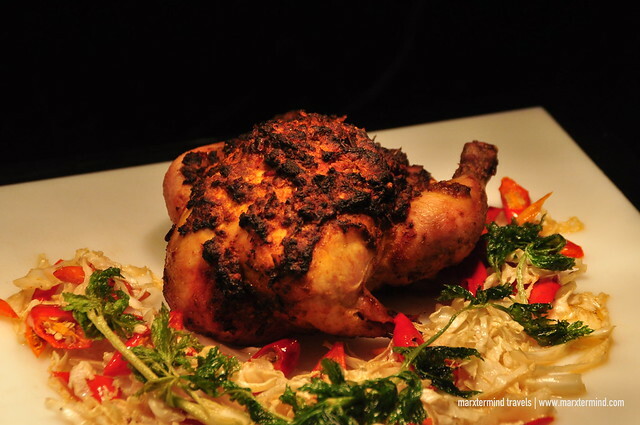 Apart from the dining options, the hotel also has several other amenities and facilities to enjoy. The hotel provides a range of facilities and services to give guests an even more enjoyable stay. The hotel has a fitness center and a pool. They also have an executive club lounge and concierge service. They also have meeting rooms and venues for business and special occasions. The hotel also provides complimentary Wi-Fi connection that can be accessed anywhere in the hotel. They also have facility for kids complete with fun games and indoor playground. But what had provided us a great relaxation was the luxury spa. 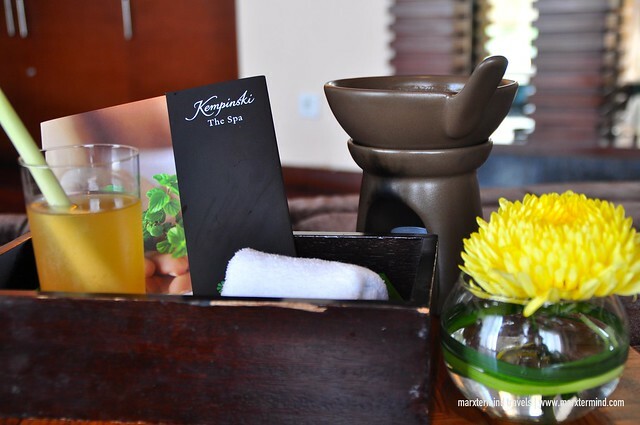 The hotel has its own spa facility named Kempinski The Spa, which is designed to provide guest a personalized treatment and relaxation. We were elated that we were booked for a seasonal massage during our stay. Each of us was provided with an expert therapist. We were briefed with the type of the massage and local treatment that we’ll be having and its benefit to our body. The massage lasted for an hour and a half. It was so soothing that I had ended up snoozing. It was around 7:00 PM when we checked out from our room. It was sad to bid goodbye to the gorgeous room that had become our beloved home for a little time. 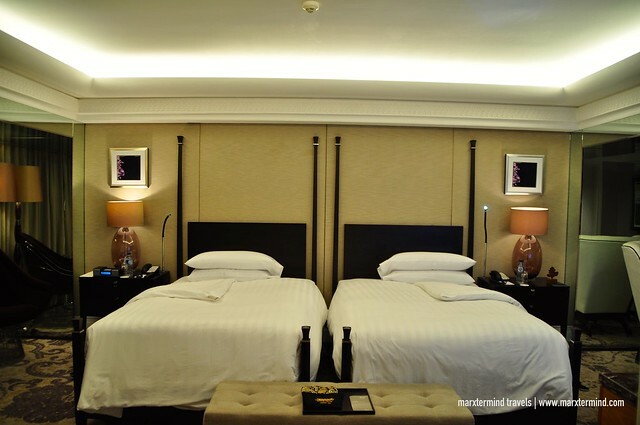 I hoped that we stayed longer because I had really enjoyed our hotel here in Jakarta. 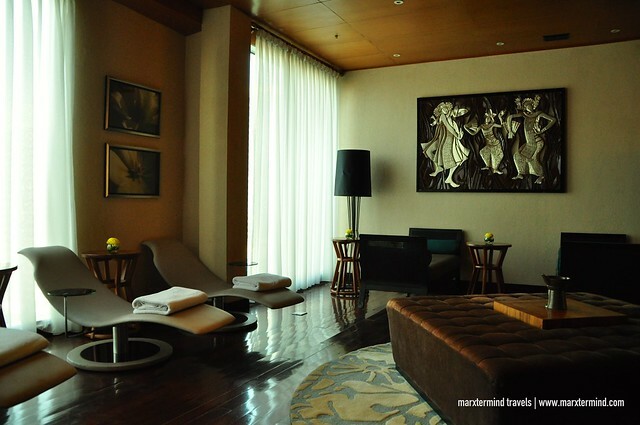 I actually couldn’t think of any place to top our stay at Hotel Indonesia Kempinski Jakarta. 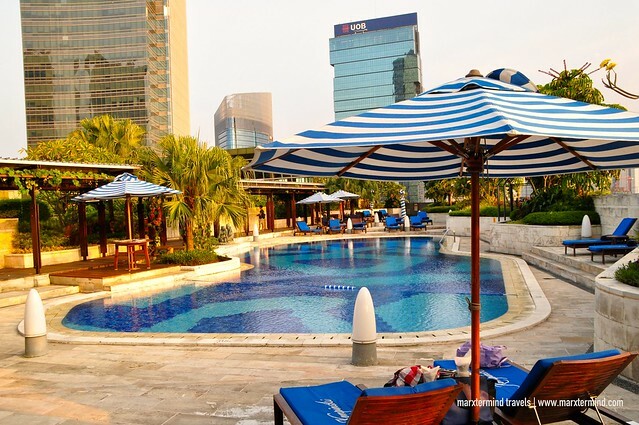 It provided us an all in one hotel experience while in Jakarta. It was luxurious, charming and comfortable in every way. 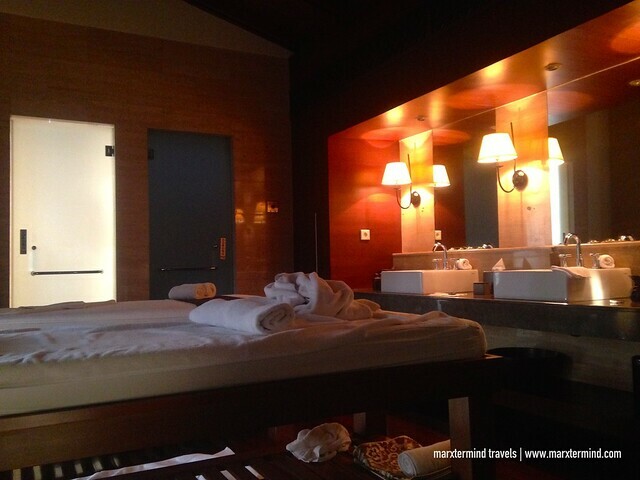 Disclosure: Hotel Indonesia Kempinski Jakarta hosted our stay for the purpose of reviewing the hotel. All notes and opinions are my own.